My 1st grade son is learning to read and we are working on larger words by using syllables and word parts. We are studying the Resurrection story right now and I wanted something that he could use to learn the story as well and practice his reading skills. So I have put these little readers together. I made them small so that it won’t be too overwhelming for your new readers. There are 7 parts total in this series. 7 – Jesus is Risen! I put this together in 7 parts so that you can use whatever parts you want to cover in your classroom. I tried to use the main parts of the account of the Resurrection Week. 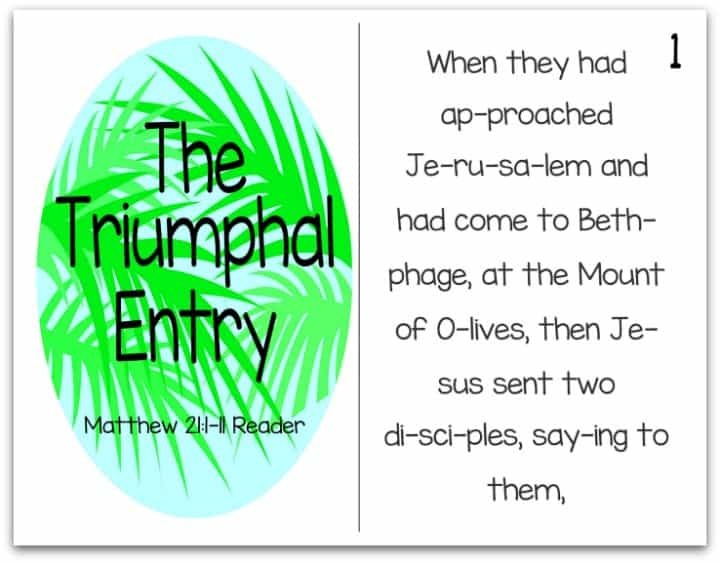 These readers would go nicely with any other Resurrection week curriculum that you may be using, since these are simple readers that come directly from the Bible. These would also be great to send home with the children in your class so that they can practice reading the story to their parents. Thank you! These are great for my 1st grade son too. Sorry if this appears as a silly question but when printing do we use the duplex feature? When looking at the PDF’s it seemed confusing as to how to put the little booklets together. Tony Kummer (Editor) reviewed & updated this page on : March 28, 2019 at 10:30 pm. All our content is peer reviewed by our readers, simply leave a comment on any post suggest an update.